KnitCandela is 3D knitted shell technology developed at ETH Zurich and designed to pay tribute to Felix Candela. The heart of this curved concrete shell is knitted while the structure’s formwork is a textile supported by steel cable-net. The structure was designed by Zaha Hadid Architects Computation and Design Group (ZHCODE), and Architecture Extrapolated (R-Ex) to pay homage to Spanish-Mexican deceased architect Felix Candela (1910-1997). This four metre tall curved concrete shell is knitted together creating a new and unique structure in a creative way. The prototype “KnitCandela” is the first application that this kind of technology that is being used on an architectural scale. KnitCandela follows a digitally generated pattern using an industrial knitting machine that produces the shuttering of the formwork for the structure of the shell. In just 36 hours this machine had knitted a fully shaped, double-layered 3D textile with four long strips. The lower layer of this structure is knitted to form a ceiling with a colorful designed surface. The upper layer is where the sleeves for the cables of the formwork system and pockets for simple balloons that leave hollow spaces that help save of materials and on weight when covered in concrete are. The knitted fabric is so lightweight that is was brought to Mexico City inside two suitcases – as normal checked baggage. The knit only weighs around 25 kilograms and the cable net weighs around 30 kilograms. The technology used to create KnitCandela was developed by Mariana Popescu, a doctoral student with Philippe Block, Professor of Architecture and Structure at ETH Zurich and Lex Reiter, who studies with Robert Flatt, a Professor of Physical Chemistry of Building Materials. The design was part of Switzerland’s National Centre of Competence in Research (NCCR) in a Digital Fabrication research project. “Knitting offers a key advantage that we no longer need to create 3D shapes by assembling various parts. With the right knitting pattern, we can produce a flexible formwork for any and all kinds of shell structures, pockets and channels just by pressing a button.” For the construction industry, 3D printing is a major topic. Philippe Block says that, to a certain extent, his group’s pioneering method is a new form of 3D printing, “Only it doesn’t require a completely new kind of machine. A conventional knitting machine will do just fine,” says Popescu. 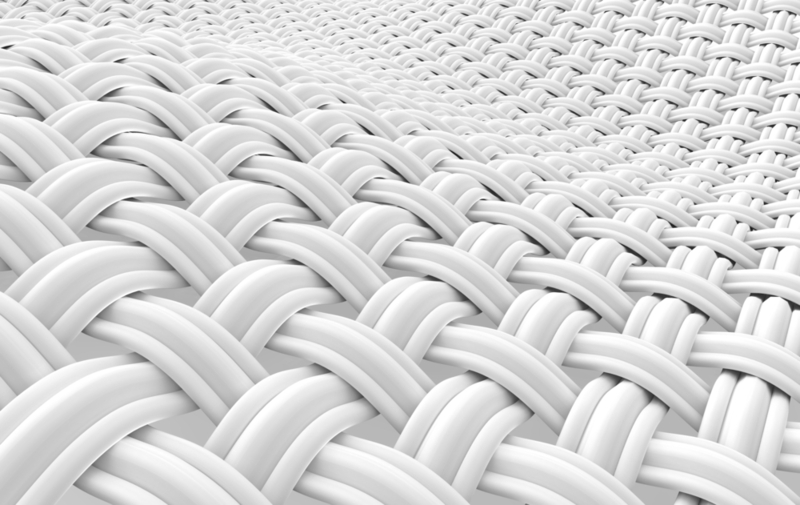 The research done by Popescu shows that knitted textiles in architectural applications cuts down on material, waste, and even labor while simplifying the construction process for more complex shapes.